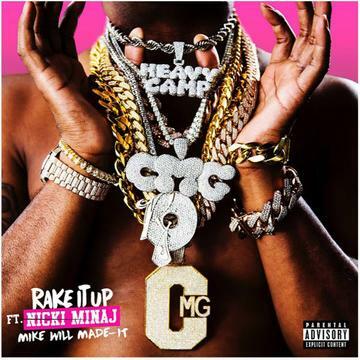 Listen to the lead single off Yo Gotti & Mike Will's upcoming project called "Rake It Up" featuring Nicki Minaj. Yo Gotti & Mike Will Made It are getting ready to release a new project at midnight tonight called Gotti-Made It, but before it arrives the two decide to share its lead single ahead of time with Nicki Minaj called “Rake It Up,” which Nicki teased on her IG last night. Aiming this one at the strip clubs, take a listen to the bouncy, Mike Will-produced banger and let us know what you think! Summer hit or nah?